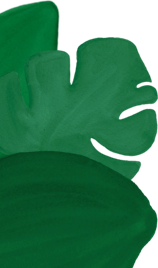 Discover the fascinating flavours and benefits of our oils. Chia is one of the world’s most nutritious seeds and our organic oil retains their goodness. Very high in Omega 3 and fibre, chia oil is great for the digestion and can be added to smoothies, oatmeal, yoghurts, salads and cold soups. When using for cooking, be sure to maintain a low temperature so you still benefit from the goodness. 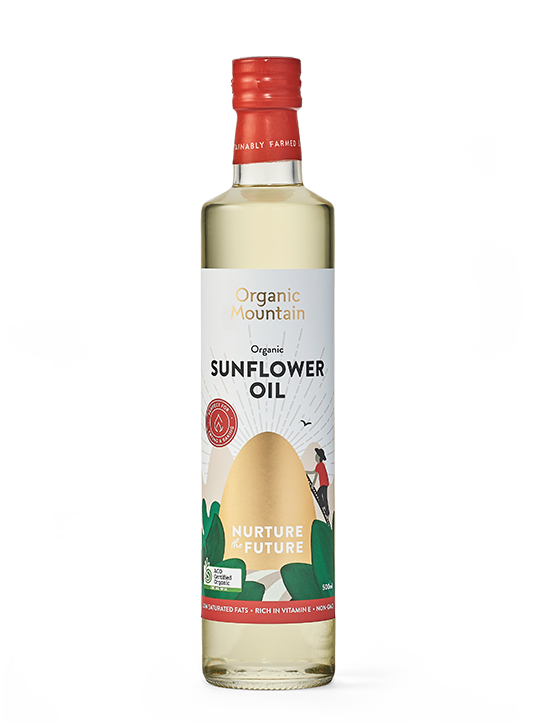 Due to it being 100% organic, this healthy oil has the added benefit of retaining the nutrients from the soil. 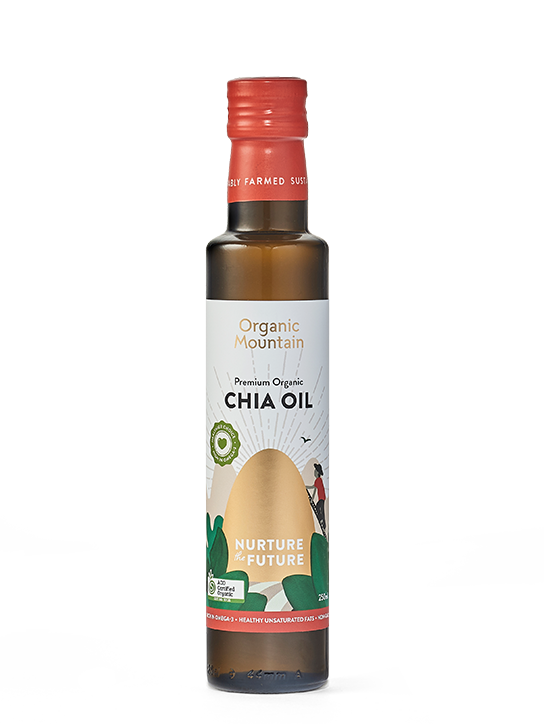 Chia is one of the world’s most nutritious seeds and our organic oil retains their goodness. 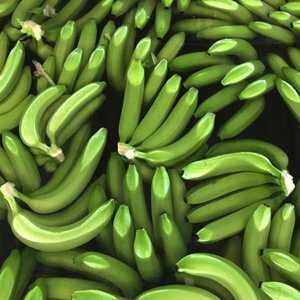 Healthy addition to smoothies, oatmeal, yoghurt, or cold soups. Not suitable for cooking with high heat. 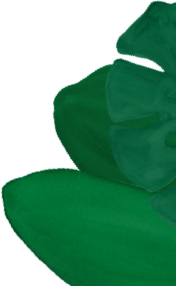 This healthy organic oil has gone through minimal processing and maintains all the properties that nature intended. Loaded with Omega 3, flaxseed oil is anti-inflammatory and makes a great alternative to fish oils. Use in smoothies, hot soups, potatoes or muesli to enjoy added health benefits in your everyday meals. 100% organic and chemical and pesticide free. This healthy organic oil has gone through minimal processing and maintains all the properties that nature intended. 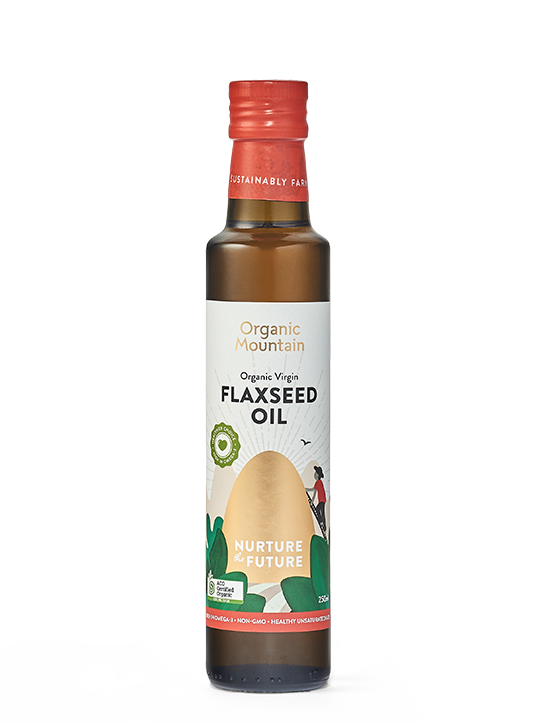 Loaded with Omega 3, flaxseed oil is anti-inflammatory and makes a great alternative to fish oils. A healthy addition to smoothies, hot soups, mashed potato, muesli! 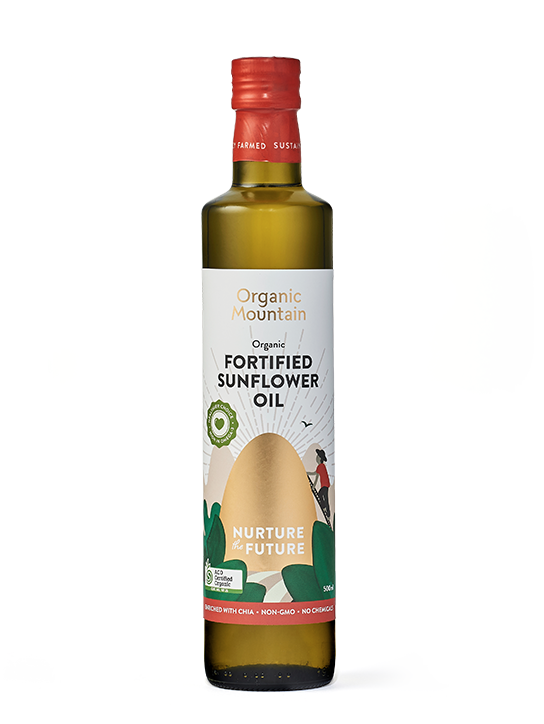 With all the goodness, colour and clean taste of our regular organic sunflower oil, this fortified version has the added benefit of Omega 3 provided by Chia. 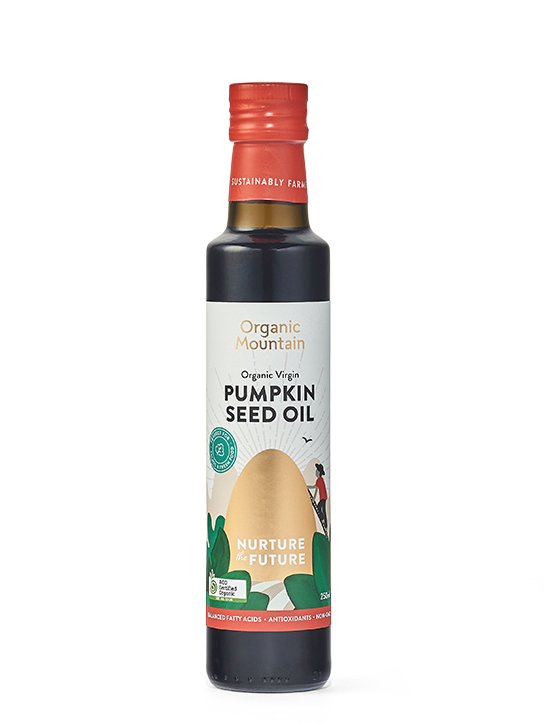 Having gone through minimal processing, our pumpkin seed oil comes loaded with nutrients and is ideal for making cakes or salads. 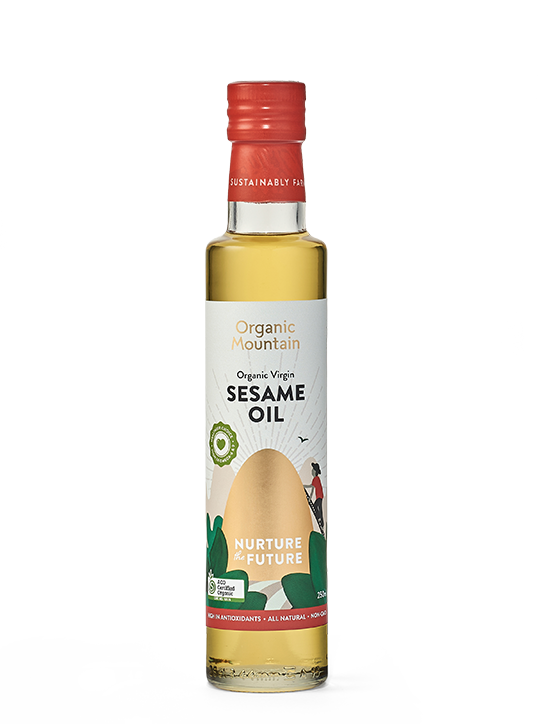 Loaded with everything good that nature intended, this organic virgin sesame oil has gone through minimal processing. 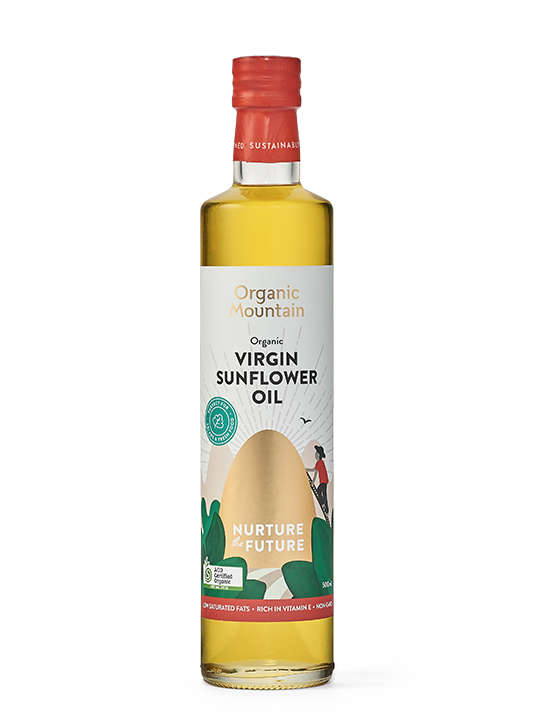 Golden in colour, clean in flavour and low in trans fats, this organic virgin sunflower oil is a dining-table staple that can be drizzled on salads and used in salsas and vinaigrette. 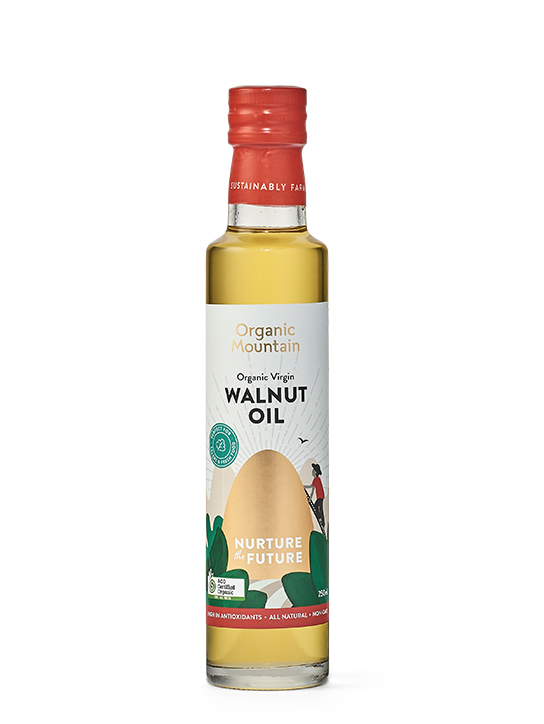 Our virgin walnut oil, with its delicate nutty scent, benefits from minimal processing so that as many nutrients from nature are preserved as possible.